New York comes into this extended four-game weekend series as part of its current 11-game road trip. The Yankees split four games against Boston last weekend before splitting the first two games of this week’s series against Minnesota. 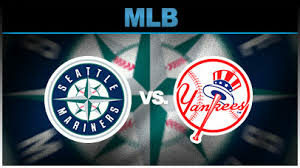 With Tuesday’s 6-3 win as -122 road favorites, the Yankees are now 48-44 and they remain 3.5 games back in the AL East heading into one final game against the Twins. Look for right-hander Luis Severino to get the start in Thursday’s series opener in Seattle. While he failed to get the decision in his last two starts, he went a full seven innings in each outing and allowed a combined four earned runs on 10 hits in two New York victories. Severino is 5-4 on the year with a 3.40 ERA and a 1.10 WHIP. Also look for the newest Yankee to take his place in the lineup after New York pulled off a trade with the Chicago White Sox to bring power hitter Todd Frazier into the fold. The Mariners will wrap up a three-game road trip to Houston on Wednesday after splitting the first two games against the Astros. They started the second half with a three-game sweep of the White Sox on the road as part of a 6-2 record in their last eight games. Seattle is 47-48 on the year and it returns home with a 27-22 record this year at Safeco Field. The total has stayed UNDER the closing line in five of its last seven games. Felix Hernandez is expected to get the start for the Mariners on Thursday night. He is 5-3 this season through 10 previous starts after spending some time on the DL. His current ERA stands at 4.20 with a 1.44 WHIP after holding the White Sox to one earned run on six hits in a five-inning stint on July 15 to pick up the win. Seattle has generated some solid run support since the break with an average of 5.2 runs over its last five games.